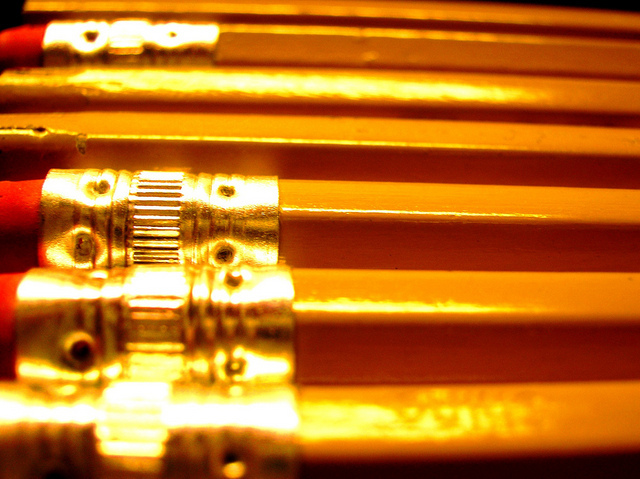 Short story collections have traditionally been a hard sell in the UK. Unlike publishers in the US – where short pieces have long been a key part of the literary culture – companies in the British book industry have tended to focus almost exclusively on novels, with only well-known writers getting deals to release assortments of shorter works. In recent years, particularly since short-form writers Lydia Davis and Alice Munro scooped the Man Booker International Prize and Nobel Prize for Literature respectively in 2013, things have started to change. Last year, the Telegraph newspaper reported that, according to the Bookseller, short-story sales had risen by 35%. And where sales figures lead, publishers tend to follow. If anyone needed further evidence of the power and value of short stories, The Well of Trapped Words by Turkish writer Sema Kaygusuz makes a compelling case. Peopled with outcasts, misfits, trauma survivors and eccentrics, the collection makes for arresting reading. From the tale of the mentally disturbed girl whose self-loathing focuses itself on her feet, to the account of the old man driven into a frenzied search for water after years of drought, the pieces pit characters against the norms of their communities, rattling propriety’s cage. And this is when the whole world went silent. The whole world. Even the birds stopped singing. Standing over the plums, Zilver suddenly noticed that the only sound she could hear was their bubbling. There are also impressive longer pieces, often portraying an emotional reversal and frequently exploring gender politics. For example, two of the strongest stories, ‘Stolen’ and ‘Deep Inside’, delineate a devastating shift in relationship dynamics, in both cases leaving the men bewildered as the women they thought of as theirs assume control. The precision of the language in many of the pieces is striking – and here praise must go to translator Maureen Freely too. My copy is riddled with pencil marks picking out phrases that distil a complex truth or emotion into a small cluster of words – the feeling of ‘regrets steaming inside me, and somehow, strangely, washing me clean’, for example, or the description of ‘a girl whose life is fading at the creases. Its multi-coloured fabric […] fast unravelling’. There is also a winning streak of wit and irreverence in the writing, as when the narrator of ‘Tacettin’ tells the reader that the title character had ‘a neck twice the size of yours and maybe five times the size of mine’. I don’t know about you, but I think this is the first time a book has called me fat. Sometimes the structure lets the writing down a little. While a few too many of the stories rely on the device of a final section told from another perspective to tie up the loose ends, a number feel a little loose and meandering. In addition, passing references to political figures and events in a couple of the pieces may prove trip hazards to readers not familiar with Turkey’s history (although the smattering of footnotes do help smooth the path). All in all, though, The Well of Trapped Words is a testament to the power of storytelling. By turns funny, alarming, familiar and strange, this collection will surprise, challenge and delight. Hats off to Comma Press for publishing a work not only in a genre but also from a language that has traditionally been underrepresented on British shelves. 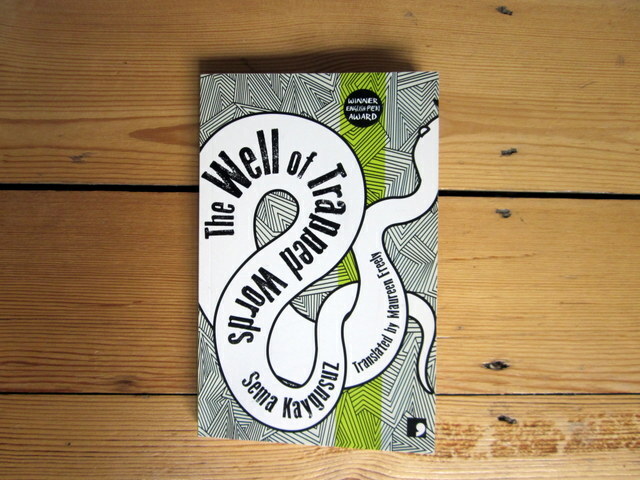 The Well of Trapped Words by Sema Kaygusuz, translated from the Turkish by Maureen Freely (Comma Press, 2015). 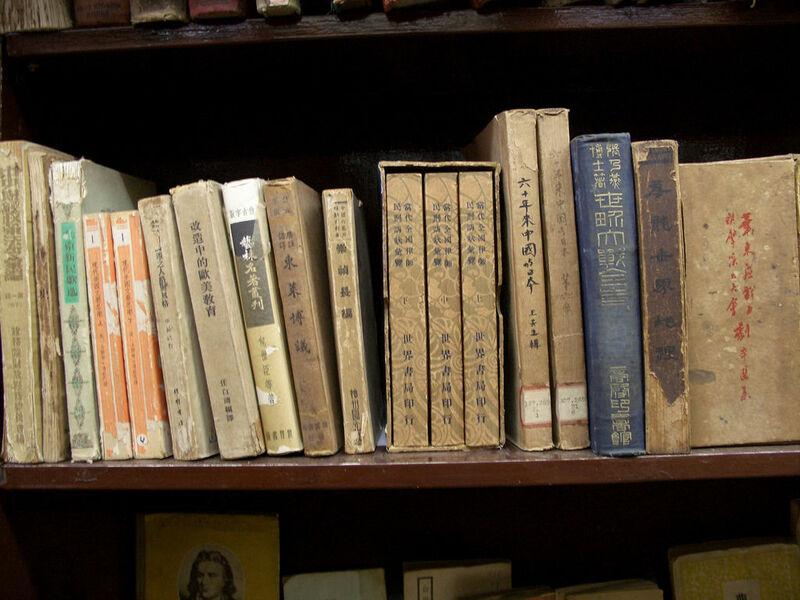 As those of you who’ve followed this project for a while will know, China is very poorly represented in terms of the number of its books that make it into English. According to Chinese translator collective Paper Republic, only 20 fiction and poetry books were published anywhere in the world in English in 2013. So it’s great to hear of an initiative by Paper Republic to try to broaden anglophone readers’ access to literature from the world’s most populous country. Starting last week, the collective has promised to publish one translated short story on its website every Thursday for the next year. The stories will be freely available. And if the first two pieces – a witty and touching sketch of the power dynamics in a romantic relationship by novelist A Yi, and wistful ‘The Road to the Weeping Spring’ by Li Juan – are anything to go by, they promise to be a weekly highlight. The first two stories are also refreshingly short, making them the perfect tasters for anyone keen to sample writing with a view to discovering authors whose books they might like to try. Ideal companions for the morning commute, a quick cup of tea or a soothing ten-minute read before bed. 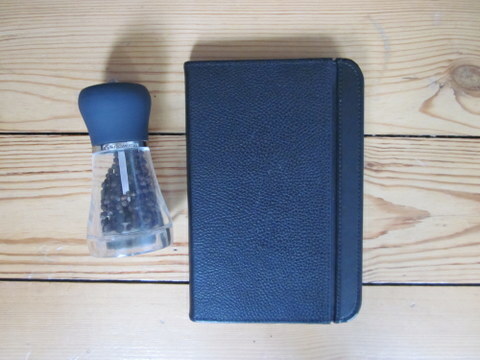 I wrote in my last post about the nervous wait to hear whether or not my forthcoming book will be published in the US. What I didn’t say was that of course I was incredibly fortunate to be in a position to have my work considered by publishers in the first place: for writers in many parts of the world just getting your work onto an editor’s desk can be a struggle because there simply aren’t the publishing networks in place to foster, promote and sell much new material. The Caribbean is one such place. With hundreds of small islands dotted over more than a million square miles of ocean, the region faces big challenges when it comes to moving goods around – and books are no exception. When you tot up the cost of editing, printing and shipping titles, it’s hard to see how a publisher in the region could make any money. People in the industry seem to agree because, apart from a few hardy enterprises in bigger nations like Jamaica, there are very few publishing houses in the region – in fact one of the most famous companies that deals in Caribbean literature, Peepal Tree Press, operates out of Leeds in Yorkshire, England, thousands of miles away. Add to this the relatively young literary culture of the islands (until a generation or two ago most books taught in schools were by British and American authors) and the lack of literary agents and, until recently, support programmes for Caribbean writers, and you begin to wonder how an aspiring wordsmith in a place like Barbados could hope to get his or her stories out. So when Antiguan writer and blogger Joanne C. Hillhouse tipped me off about an anthology made up of the best Caribbean entries to the Commonwealth Short Story Prize (for which I was privileged to act as a longlister late last year), I was keen to take a look. Bringing together work by writers in Jamaica, Trinidad & Tobago, Belize and more, Pepperpot: Best New Stories from the Caribbean aims to broadcast the region’s literature to a wider audience. It is the first title published under the name Peekash Press, a collaboration between Peepal Tree Press and Akashic Books set up to publish works by writers living in the Caribbean – as opposed to those in the diaspora, who make up the majority of these publishers’ lists. Just as the collection seeks to bring new work to the wider world, so it also opens up fresh perspectives. If you thought that an anthology of short stories written in the Caribbean might reflect back at you all those tempting clichés of white-sand beaches, piña coladas and long, sleepy afternoons, you can think again. Packed with drama, many of the tales throb with a violent energy and deal with the very darkest human impulses. We read of gang violence, dead children, beatings, abuse and robbery. There’s also humour. I particularly liked Barbara Jenkins’ ‘A Good Friday’ for this, with its loveable-rogue narrator who gets more than he bargains for when a devout young woman in distress happens by his bar. The drama and humour are heightened by robust and often very inventive language. At their best, the writers use their imagery not only to illuminate the experiences of their characters but also to share specific details about their worlds. So, for example, we read in Ivory Kelly’s ‘This Thing We Call Love’ of conversations that ‘were like boil-up, with plantains and cassava and other kinds of ground food and salted meat thrown into a pot of water, in no particular order, and boiled until the pot is a steaming, bubbling, savoury cuisine’, or in Joanne C. Hillhouse’s own ‘Amelia at Devil’s Bridge’ about rocks that ‘are sharper than a coconut vendor’s cutlass’. Many of the stories are brought to life with equally colourful dialogue, although this poses some interesting questions. A number of the writers have chosen to represent the dialects of their characters for a Standard English-speaking reader (so that someone who uses British or American English could pronounce the words phonetically and get them to sound as the characters would say them). While there are practical reasons for this choice, it has the effect of implying a reader who comes from elsewhere, as though the literary legacy of previous generations is still present on some level. It will be interesting to see whether the region’s authors continue to write in this way in years to come. As is inevitable with anthologies of this kind, the quality of the pieces varies. Structure is shaky in some, while others have a frustrating, unfinished feel, as though they are fragments of larger works. A few fall into the trap of telling rather than showing, or cram so much incident in that they read more like synopses for novels or (in some cases) action films than stories in their own right. There are also instances of overwriting, where tenuous metaphors and similes are heaped onto sentences too flimsy to take their weight. Taken as a whole, however, this is an exciting and heartening book. It proves – if anyone was in any doubt – that the Caribbean has plenty of homegrown literary talent to draw upon. Congratulations to Peepal Tree Press and Akashic Books for creating a platform for these authors in the shape of Peekash Press. 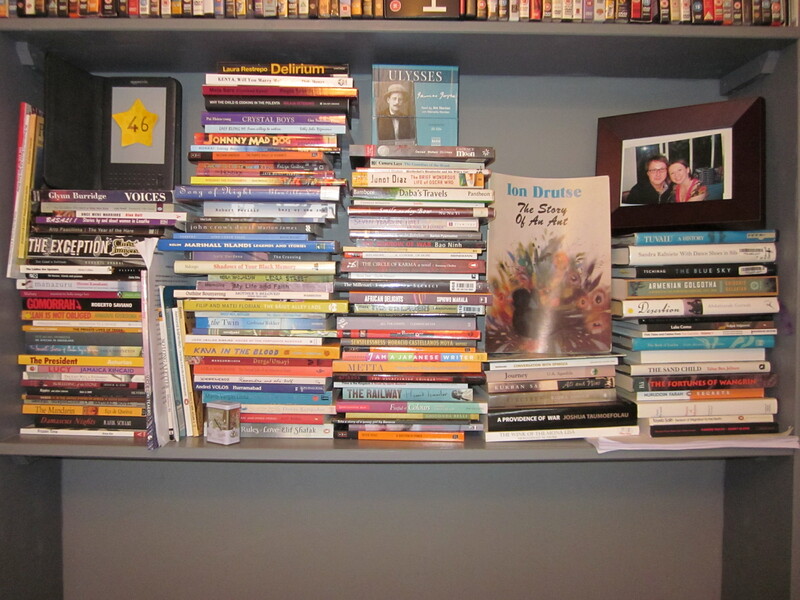 Judging by this collection, there are thrilling things ahead. One of the exciting things about reading the world was the number of unpublished manuscripts I got to sample during the project. From the crowd-sourced translation of Olinda Beja’s A casa do pastor, which I read for Sao Tome & Principe after nine volunteers generously converted it into English for me, and Mozambican literary giant Ungulani Ba Ka Khosa’s Ualalapi, to Ak Welsapar’s The Tale of Aypi – the first book ever to be translated directly from Turkmen but still, sadly, without an Anglophone publishing deal – I was repeatedly surprised and delighted by the extraordinary works I had the privilege of discovering. People often ask me whether any of these works are going to make it into the shops. I hope so, is the short answer. Certainly many of them deserve to – not least because they are often one of the few, if not the only, English-language translations of literature in existence from particular nations. I would be delighted if this project meant that some of these exciting stories had a chance to break into the world’s largest publishing market. 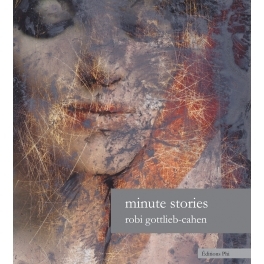 So you can imagine my pleasure when I heard today that Robi Gottlieb-Cahen’s Minute Stories has come out through Editions Phi. Now, I have to confess that A Year of Reading the World has nothing to with Gottlieb-Cahen’s success – the book was already slated for publication when Claudine Muno, frontwoman of Luxembourgian band Claudine Muno and the Lunar Boots, helped me find it. Still, it’s great to hear of the first AYORTW manuscript making it into print – particularly from Luxembourg, which has very little literature available in English. Gottlieb-Cahen’s fascinating collection of tiny stories of no more than two or three sentences written in three languages and accompanying paintings by the author will give many readers a chance to sample literature from a nation they might not otherwise have the opportunity to read a book from. Congratulations on your achievement, Robi! Massive though the world’s fourth-largest island nation may be, its literature is not widely translated. In fact, there’s so little out there that, seeing the gap on my list, Sophie Lewis, Editor at Large at And Other Stories, offered to lend a hand. She sent me her translation of a short story, ‘Za’, by Francophone Malagasy writer Jean-Luc Raharimanana. The story on its own would not be enough – it had developed into a novel but this was not yet translated; however, she would contact Raharimanana to see what else he could suggest. The next day Lewis was back with the news that not a single Malagasy novel had been translated into English. Given what I’ve found to be the case with several other Francophone and Lusophone African countries this year, this didn’t surprise me a great deal, but Sophie was shocked – so much so that she’s determined to do something about it and is keen to hear about Malagasy novels that might be suitable for And Other Stories to translate and publish (please put your suggestions at the bottom of this post). In the meantime, however, there was only one book that fitted the bill for my purposes: Voices from Madagascar, edited by Jacques Bourgeacq and Liliane Ramarosoa. Published in 2002, the anthology brings together prose and poetry from more than 15 writers, including Raharimanana, in an effort to address the lack of translated Malagasy literature (which its editors claim stems from the country’s political isolation during its Marxist era and the fact that none of its publishers distribute abroad). Presented in parallel with the original French texts, the works range from bleak, violent tales such as David Jaomanoro’s ‘Funeral of a Pig’, in which a son orchestrates a brutal attack on his mother, through to bombastic, witty pieces like Lila Ratsifandriamanana’s ‘God Will Come Down to Earth Tomorrow!’, in which the world anticipates a visit from the Almighty. There is a great deal of anger in this book, particularly in the early stories. This comes through in hard-hitting, personal pieces such as Raharimanana’s ‘Case Closed’, which sees an abused woman forced to aid a trafficker by sewing drugs into her baby’s corpse, as well as sharp, satirical stories like ‘The President’s Mirror’, in which writer Bao Ralambo goes to town on the fickleness and narcissism of the title character. There are also more rounded, extended works like Jean-Claude Fota’s ‘Walk No Work’, which depicts brilliantly the mental disintegration of a bright graduate in the face of continual rejection and lack of opportunity, recalling such bildungsromans as Knut Hamsun’s Hunger and MT Vasudevan Nair’s Kaalam. In addition, the collection provides some fascinating glimpses of Malagasy customs and mores. The shocking tradition of insulting a corpse to honour it at a funeral, for example, crops up several times, while there is an almost magical sense of the clash between the old and the new in stories such as Narcisse Randriamirado’s ‘Grandmother’. We also witness the way that many customs are weighted against gender equality in ‘In the Top’ by Alice Ravoson, which sees a woman strive to put herself through university in the face of family expectations that she will remain tied to domestic life. As is nearly always the case in an anthology like this, some pieces come across better than others. While there is a lovely, poetic quality to much of the prose writing – no doubt owing to the fact that many of the writers work in both forms – it sometimes tips over into opacity and vagueness. The unrelenting shock and violence of the early pieces may also put some readers off, which is a shame as the collection broadens out beautifully. Overall, though, as a tasting platter of Malagasy literary talent, this is a flavourful and moreish offering. Reading it adds to the sense of how many great works we must be missing because of the lack of cultural exchange to date. It’s surely high time that changed, so go on, tell me: what Malagasy novels should we English-language types be reading?